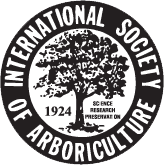 View information about the expert Tree Care Services offered by ArborPro’s experienced and certified arborists. Plants sick and weak? View ArborPro’s comprehensive plant health care program to get your landscape healthy. We have expertise in the field for over 20 years, highly trained and certified arborists and consulting. Let us serve you! ArborPro Tree Experts is a professional tree service company with over 23 years of experience in professional tree care, expert pruning, and difficult tree removal in Portland’s tri-county areas and southern Washington. All of our employees are highly trained in the most modern arboricultural techniques and they include both certified and consulting arborists. In addition to the regular tree services we have consulting arborist available to do tree inventory, tree risk assessments, arborist reports for development and construction, tree removal permitting, tree loss evaluations, etc. ArborPro Tree Experts is considered about the visual aspect of trees and what is happening with root structures. Often times, it’s not what you see matters most and we can assess those needs. ArborPro Tree Experts is licensed, bonded and insured. No matter what sort of tree service we are performing, customer satisfaction is always our number one goal. Wherever you see ArborPro Tree Experts, you can expect first-class arborists and excellent service from people who care about customers and trees. Over time, our name has come to represent quality, exceptional service, ethics, and confidence. ArborPro Tree Experts is an Oregon Certified and insured tree care business, serving homes and businesses in the greater Portland metro & surrounding areas. Feel free to browse our website or head straight to our Tree Care Services page to see how we can help you today. No matter how big or small your tree or plant care needs are, our team of experienced and certified arborists are ready and capable to tackle any challenge. Fill out our free estimate form & see what we can do for you! Great Arborists – Thorough work – Nice clean up. We have lived in Portland for 8 years and this is the third tree service we have hired. We were very impressed. They pruned 7 trees for us. Great arborists, very thorough work, nice cleanup from start to finish – a much better experience than the previous 2 companies we used. We will call Arbor Pro next time we need tree work. Very Knowledgeable – super job – saved us money. We had 3 proposals done by 3 different companies. Four of our trees appeared to have health issues. Two of the companies said we had to remove all of the trees. I was upset to hear I would be losing all my mature trees. Mark looked at my trees and found 2 trees to be suffering from root crown decay and said the other 2 had only minor problems and were very preservable. He explained the problems and treatments thoroughly and told me where to look up information on-line if I wanted to learn more about it. We are very happy we found Arbor Pro. They did a super job, removed 2 trees, saved 2 trees and saved us money. Friendly- helpful – on time. I was consistently paying for insect and disease treatments on my trees and shrubs with very little results until I hired Arbor Pro. They tested our soil and recommended some specific soil amendments and fertilization. It all made sense and it has really made a difference. Our costs are less and our trees and shrubs are healthier. Japanese Maples Look amazing, Great Tree Service – Very Professional Arborists. We found Arbor Pro through a friend in Portland who had a dead tree removed. We had 2 large Fir trees thinned out and 2 Japanese Maples pruned. We get a lot more light in our house and yard and the Japanese Maples look amazing! They were really opened up so you can see the beautiful twisting limb structure. Great tree service. I own All Oregon Landscaping, Inc in Sherwood and started to use Arbor Pro a few months ago. I wanted to brag on their tree services to say thank you for many jobs well done. They average about 3 clients a month for us doing ornamental and shade tree pruning and tree removal, mostly in Portland metro area. All of our clients have been very happy with Arbor Pro and their work. We have used many tree services and this is the company to hire. You could tell these guys really enjoyed their work. It was incredible how they moved around in our 100ft fir trees. Every time we had a storm branches would come down on our house and yard. The arborist recommended thinning to let wind pass through the trees more easily and pruning out dead and broken limbs. We have had several storms since the trees were pruned and no limb failure. These trees look much better also.